My make-up client once asked me if is there any tips to reduce wrinkles as she’s in her late 20s and worried about pre-mature aging. She was eager to know what’s the secret of having a brighter and healthier skin as she adores (Probably. LOL.) my skin which doesn’t even look as if I’m in my 30s. There’s a lot of beauty tips which I discovered from my own grandmother. She even taught me how to do my own homemade beauty ‘potion’. *Grin* I shared with her the secret as she was getting married soon. Being the prettiest bride is the utmost goal of any women. Increase the effectiveness of your sunscreens and boosts your skins defence against UV exposure. So, the secret of having a youthful skin or look a few years younger depends on Vitamin C. But, it doesn’t mean that you need to eat lots of Vitamin C every day because excessive Vitamin C in your body could lead into other health complications. You still need other nutrients, dear. You don’t need to get laser treatment to have a youthful age as Vitamin C is a powerful antioxidant, and it even shown to reduce the number of sunburned cells as well as reverse age-related damage to skin. This is because the serum from vitamin C has a higher concentration of L-ascorbic acid. I received 100% Pure Vitamin C a few months ago, and it really excites me as I always love serum. I’ve read a lot about serum which functions as ‘booster’. 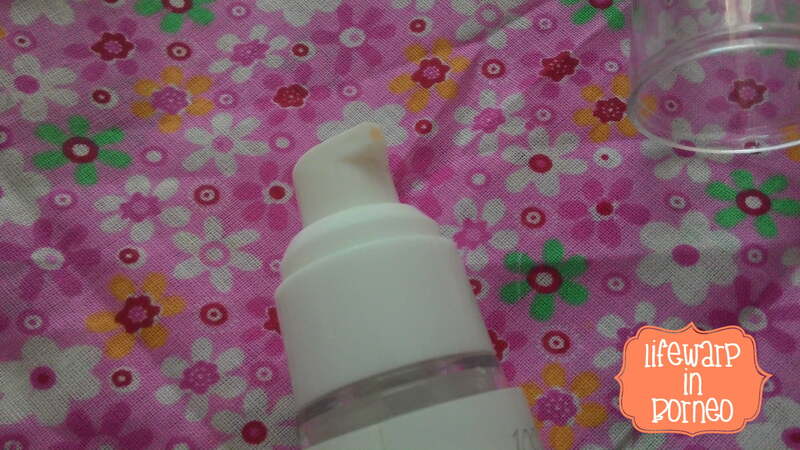 The serum is usually applied after toner and before applying moisturiser. It took me about a month to test this product as the result doesn’t show within 2 weeks (as claimed by a few users on Amazon). My grandmother once told me that the easiest way to get Vitamin C is from citrus fruits. She even told me to rub lemon or lime on my skin. However, getting Vitamin C straight from a lemon probably isn’t a good idea since it isn’t as easily absorbed by the skin as compared to well-formulated C actives. 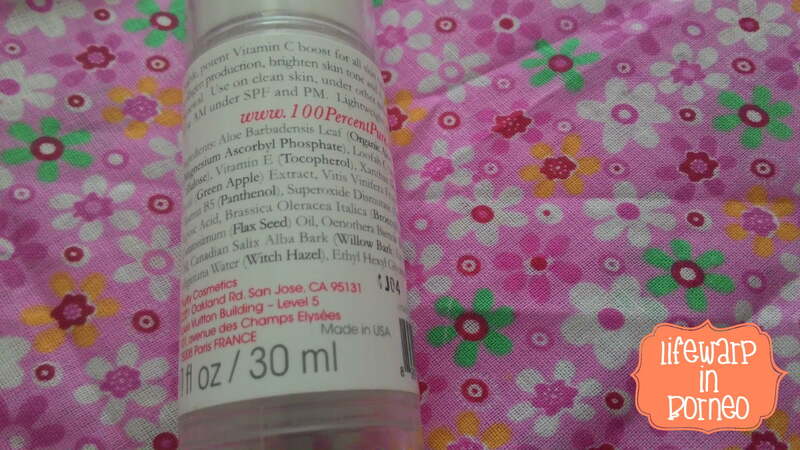 Let’s see how much this Vitamin C serum from 100% Pure can give wonder to the skin. The serum comes in a 30ml clear bottle. I love to keep my serum refrigerated as this will keep the serum from oxidizing quickly. The 100% Pure Vitamin C Serum is oil-free and it’s a perfect for balancing oily skin and due to its exfoliating properties, it’s good to apply moisturiser after every application especially when you have sensitive skin. I usually start my beauty regime washing my face using a lukewarm water. After that, I will apply toner, and then serum. The serum comes in a small bottle, makes it easier for me to put into my make-up pouch. The consistency of the serum is also very lightweight and absorbs quickly. It smells like Aloe Vera. Nice. It really brightens my skin. Its light exfoliating properties can make your complexion look bright. The light exfoliation is also a factor that this serum works well with acne prone skin since it is light and doesn’t seem to clog the pores. Clear, and smell like Aloe Vera. It absorbs faster leaving the skin smooth and refreshed. 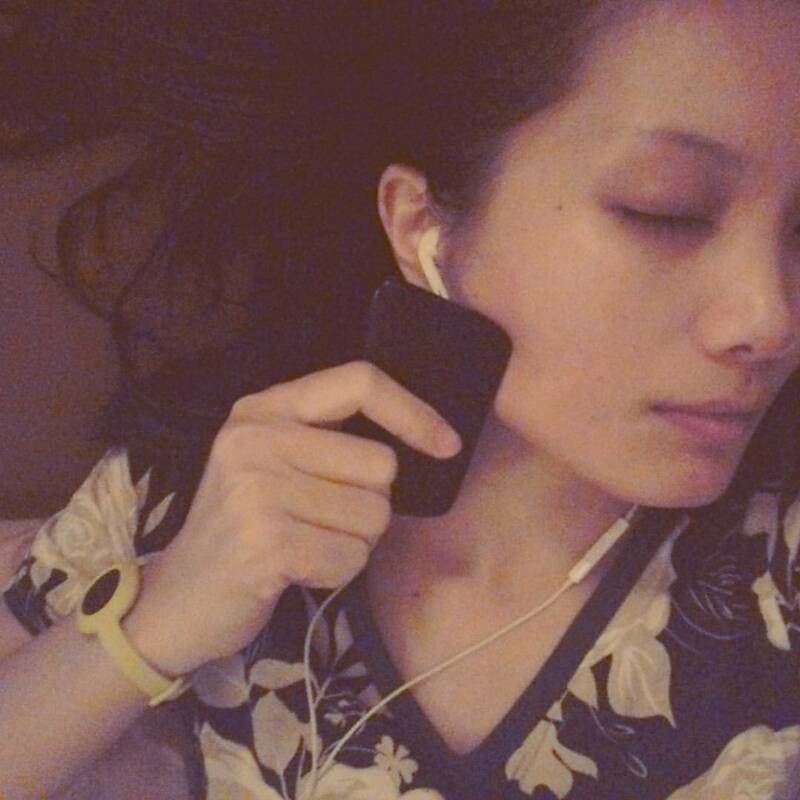 I’ve been using it for a month, and I do see an improvement on my skin tone. 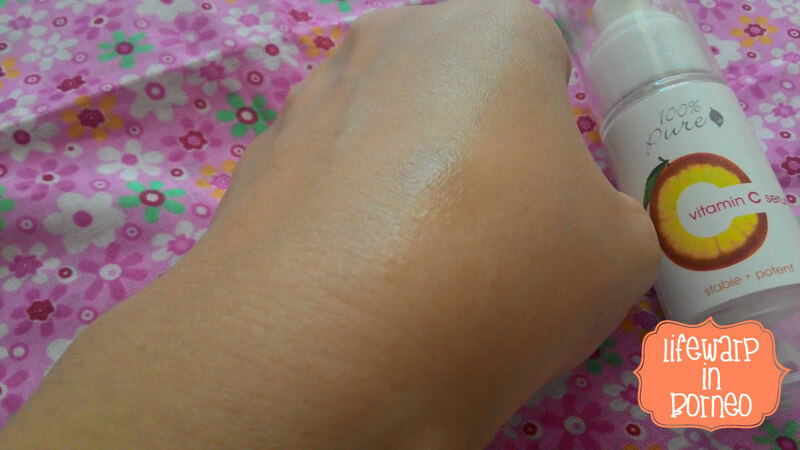 Moreover, it has helped my skin appear less blotchy and smoother. Besides, I have noticed lightening of a few dark spots on my face, and my skin retain moisture a little better than previously. I also notice that it can heal breakouts faster, this serum has been doing a good job with fading them. However, it does not reduce the appearance of dark circles because this product does not intended to be used under your eyes as the skin under the eyes is very sensitive. It doesn’t leave that ‘oily’ look. I don’t really like the dispenser as it usually pump out too much serum than what I need. One pump is enough to cover my face, neck, and elbow. I must say that the dispenser is not ‘user-friendly’. LOL. I usually do facial massage after every serum + moisturizer application.